The simplest definition of mail art is that it is any art that’s created with the intention of sending it through the mail. 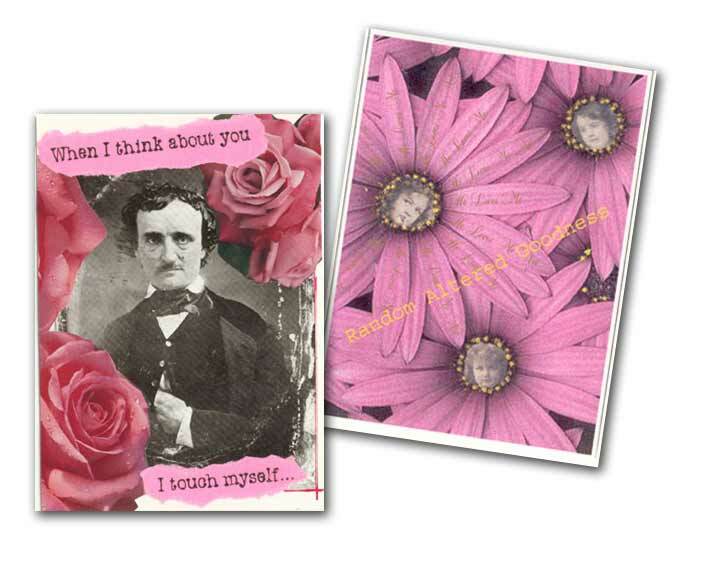 Mail art can include postcards, faux postage, decorated envelopes, friendship books, and the ever popular naked mail. If you have to mail it to complete the creative experience, it’s mail art! No money exchanges hands. In general, mail art is exchanged between artists, not bought and sold. There aren’t usually fees involved to participate in mail art projects. Mail art is given freely, without the expectation of something in return. No judgements are made about the artwork or its quality. You get what you get. Once the envelope has been dropped into the mail, forget about it. Postcards are probably the most popular form of mail art. Handmade, altered, or trash postcards are often exchanged between mail artists, either one on one, or in organized swaps or exchanges. Perhaps postcards are so popular because they are already a type of mail, and are so easily sent, without packaging, and with minimal postage. Postcards are often used in mail art exhibitions, with are organized through mail art calls. The project organizer puts together a theme and a venue for display, and posts the call to creative groups focused on mail art. Interested artists mail in a postcard, to be included in the exhibition. Sometimes, they receive another postcard in return, or a visual listing of the pieces in the exhibition, known as documentation. 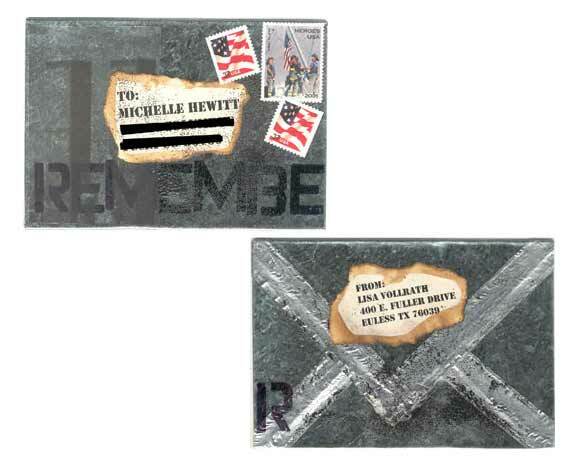 One of the most well-known postcard projects is Post Secret. Since 2005, the project organizer has asked readers to mail him an anonymous postcard with a secret written on it, to be posted on the Post Secret blog. Hundreds of postcards have been sent in and posted, and the project has spawned several books. 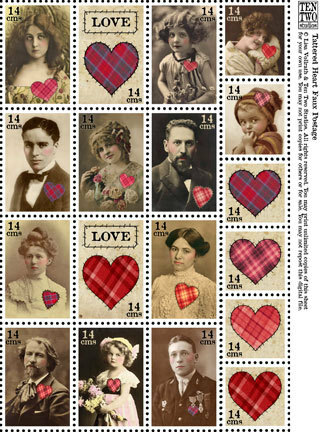 Postcrossing is a site designed for those interested in sending and receiving postcards. Rather than matching senders and receivers, the site is set up so that your postcard is assigned a number, and when your card is received and logged by the recipient, your name is put into the queue to receive the next postcard sent. 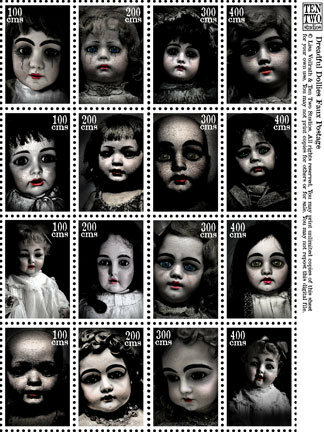 Artistamps go by several different names: faux postage, postoids, or cinderellas. 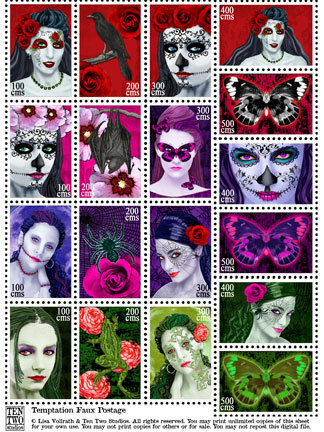 These terms are used to describe an artist-created stamp that is not used as real postage. In fact, one of the rules of using artistamps is that they must not be substituted for real postage, or used in any way that attempts to defraud the Post Office. 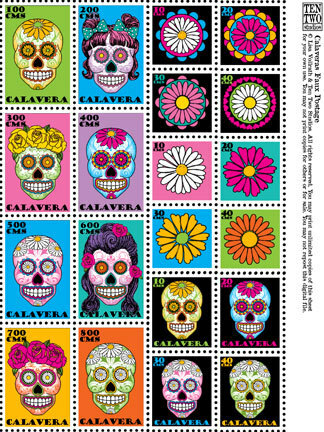 Faux postage stamps are created in a variety of ways, but the most popular method to create them is using a computer for design and layout, and then either printing on paper that is pre-perforated, or perforating the printed sheets afterward. 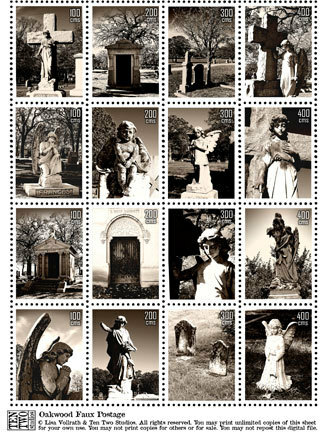 Stamps can be created in sheets or individually, or even to mimic the commemorative issues put out by the Post Office. I am an avid maker of faux postage stamps. Some of my designs, including those below, are available for purchase at Ten Two Studios. The tradition of sending decorated envelopes has long been practiced by mail artists. The envelopes themselves have evolved into their own form of mail art, often sent through the mail with little or nothing in them. 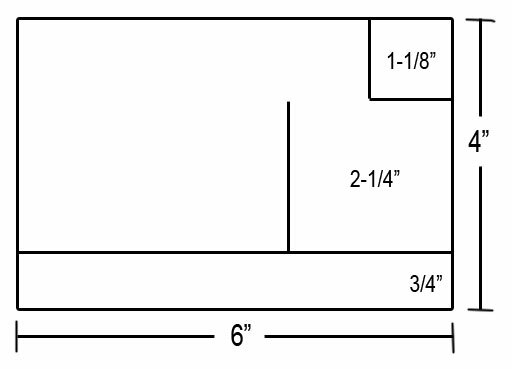 Integrating the sender and recipient addresses, and the postage required to send the envelope, is often an integral part of the envelope’s design. One of the longest running decorated envelope project is The Graceful Envelope, sponsored by the Washington Calligraphers Guild. 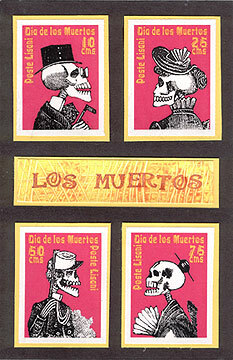 Each year since 1995, artists have decorated envelopes according to the annual theme. The best envelopes selected in several categories are put on display in Washington, DC. Sometimes known as extreme mail art, naked mail is the sending of odd items through the mail without any packaging. In my years as a mail artist, I’ve received beach balls, flip-flops, a plastic severed hand, a giant plastic crayon bank, a large pink piggy bank, baby bottles, and liter and two-liter bottles filled with all manner of items. One of the objects of naked mail is to surprise postal employees. Taking the items to the post office window to be weighed and have postage attached, and receiving the naked mail items from your regular postal carrier are part of the naked mail experience. One of my favorite types of naked mail is the plastic bottle mailgram. 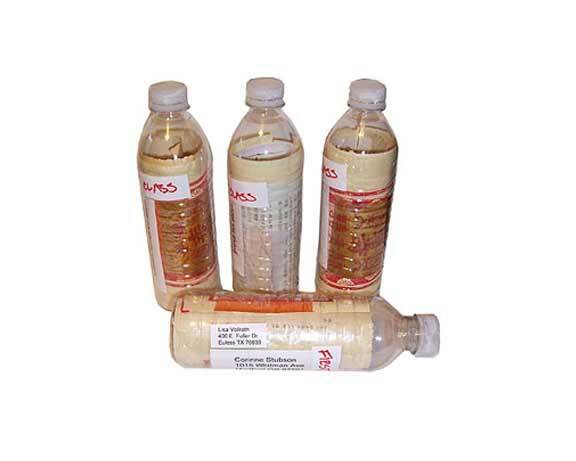 A clear plastic bottle is filled with items the recipient might enjoy, and mailed without packaging. Instructions for making plastic bottle mailgrams that fill easily, and will pass through most US post offices are posted here at Go Make Something. Artist trading cards, or ATCs, are small-format artworks exchanged between artists. Unlike other types of mail art, artist trading cards do have a few rules. They must be created on a 2-1/2″ x 3-1/2″ surface, and must fit into a trading card sleeve, which is a clear pocket designed to hold baseball trading cards. Although artist trading cards originated as a way for artists to meet face-to-face to exchange work, with the rise of the Internet came endless numbers of groups where artists can exchange cards by mail. One of the largest groups online focused on exchanging artist trading cards is ATCsForAll, where you’ll find dozens of open swaps at any given time, and thousands of people willing to do a one-on-one exchange. Trashpo is short for trash poetry, a concept that originated with visual poet Jim Leftwich. In 2005, Leftwich dumped a wastebasket onto a scanner, and posted photos of the random poetry this created. Trashpo is a form of visual poetry, based on random, found arrangements of letters, words, and images. In its very broadest sense, trashpo is art made from garbage. Cerealism is trashpo made from cereal boxes. Listpo is list poetry made using found lists, like shopping lists. Scannerbed composition is a method of creating trashpo by dumping trash on a scanner and scanning it. The International Union of Mail Artists (IUOMA) was founded in 1988 by Dutch artist Ruud Janssen. IUOMA has been the center of the online mail art universe for many years, moving from site to site, but keeping many of the same core members and ideals. There are currently over 3,500 members online, and the web site is one of the largest repositories of mail art calls and images of mail art. New members are welcomed heartily, and there is no charge to join or participate in the many projects going at any given time. Mail Me Art is a mail art documentation project. Viewers send mail art, and the recipient blogs what has been received. The project has spawned several exhibitions. The Mail Art Pool on Flickr has gone silent in recent years, but people are still adding their photos to the pool. The Electronic Museum of Mail Art has several galleries of mail art, including a small collection of artistamps by various artists. Com`post Mail Art displays the work of German artists who have participated in mail art projects for over 20 year. There isn’t much text to describe the collections, but there are lots of photos. 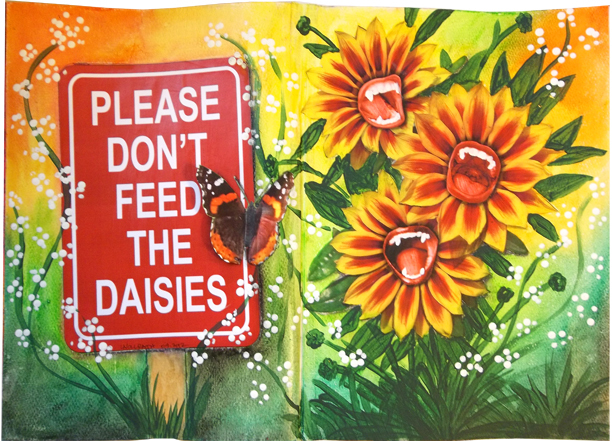 1000 Journals was an art journal project that happened by mail. The project’s originator sent out 1000 blank journals, and they were passed around using an online queue system. The project is finished, but the photos of journals remain posted. Mail Art Projects is a blog maintained by 100 members of IUOMA. It posts mail art calls from all over the world.